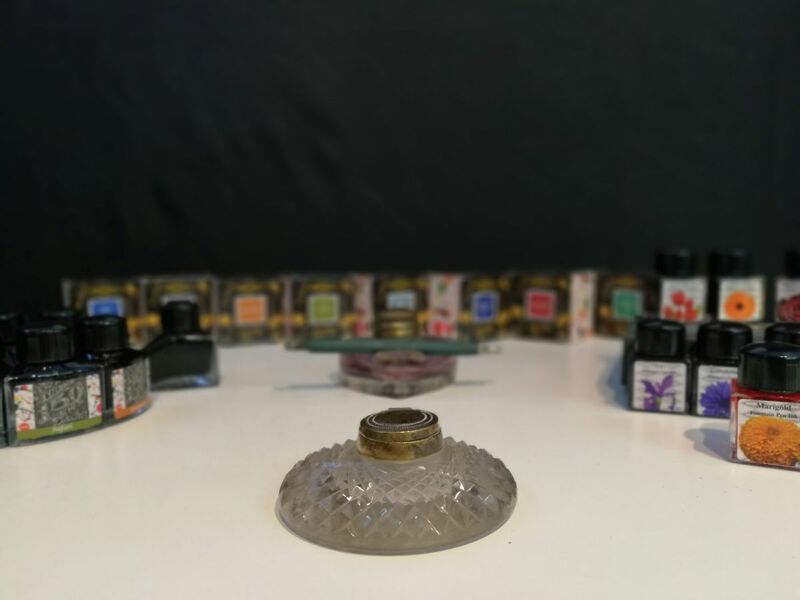 Exhibition: Time Travel with The Traveling Ink Pot, by Yashwant D Pitkar - ArchitectureLive! We exist in a day an age where most ‘stuff’ is disposable; From income to cutlery, mobile numbers to tissue paper, from gel pens to relationships, ‘use and throw’ is more the norm than the exception. Given this scenario, ‘collect and cherish’ comes truly as a breath of fresh air; and more so when it has to do with an architect’s passion for his armaments at hand – Pens and Ink. As Prof Yashwant Pitkar, architect, photographer and collector aptly phrases it “Passion is the essence of life” as he lovingly puts together his collection of 120 ink bottles, 40 accessories and over 20 books into an exhibition titled The Travelling Ink Pot. This exhibition is being held at the Rachana Sansad Academy of Architecture, Prabhadevi, Mumbai from 16 -20 Jan 2018, 1 pm to 7 pm. “Like most others, I started out with a bottle of Camel ink, and from there went on to develop a passion for that medium,” says Prof Pitkar nostalgically. He fondly remembers his escapades into the old streets of cities he visited, hunting for shops that could hold old items and scouting for ink bottles from nooks and corners of the country. 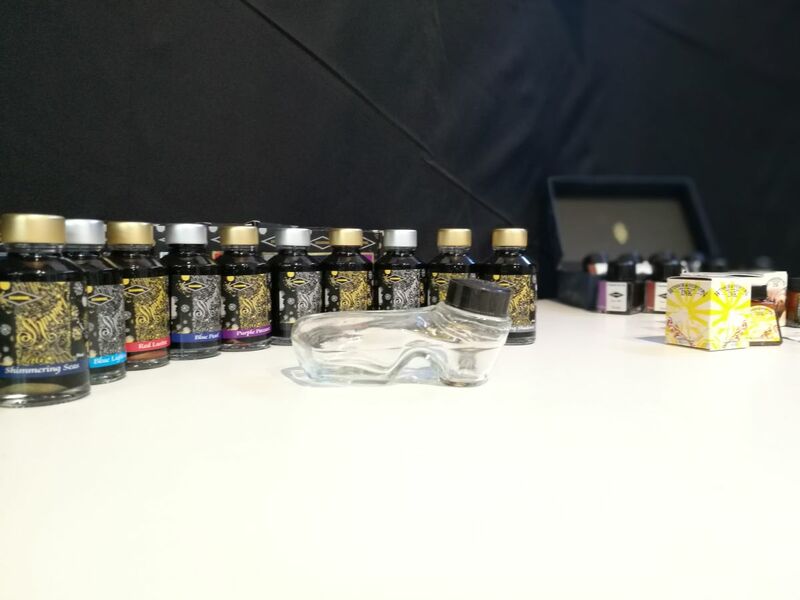 Besides a dazzling variety of ink bottles which he has painstakingly collected over a period of 20 years, the exhibition also throws light on the history of ink which can be traced back to 2500 BCE to ancient Egypt and China and how it evolved over centuries to the printing inks of today. Prof Pitkar spiritedly talks about the history of Rajahmundry, where the first fountain pens in India were crafted in 1928; a place that Mahatma Gandhi found worth paying a visit during the freedom struggle. It also features other famous pen and ink haunts across Hyderabad (Deccan Pen) and Chennai (Gem Pen Co) to Anderson Pens and Fountain Pen Hospital in USA. The exhibits are stunning to put it mildly. 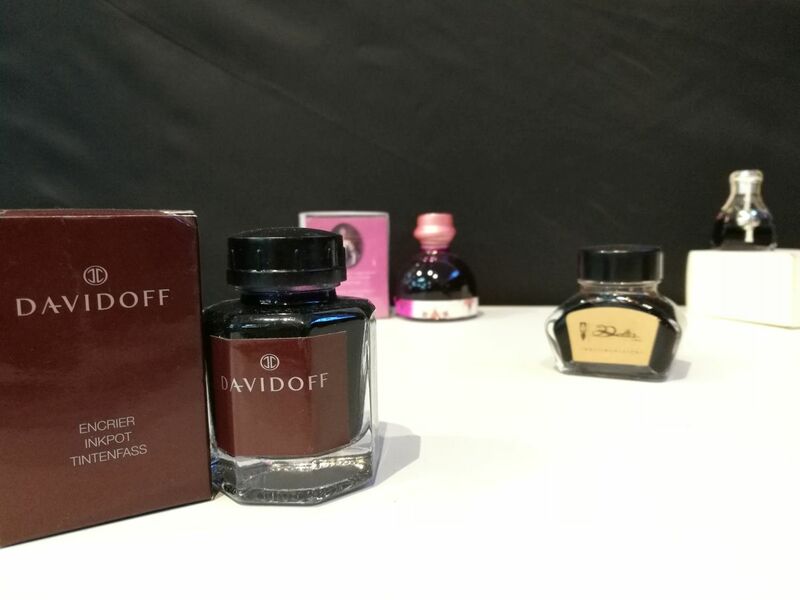 Each beautifully crafted piece ranging from the older brands like Brill, Camel, Waterman and Sulekha to the latest international brands like Louis Vuitton, Davidoff, Cartier amongst others exhibit designs at par with the finest perfume bottles in the world. Accessories range from Jai hind pen holders from the dawn of Indian independence to black sand and blotters designed to dry the inks and intricate, animal shaped brass inkpot holders and many more. 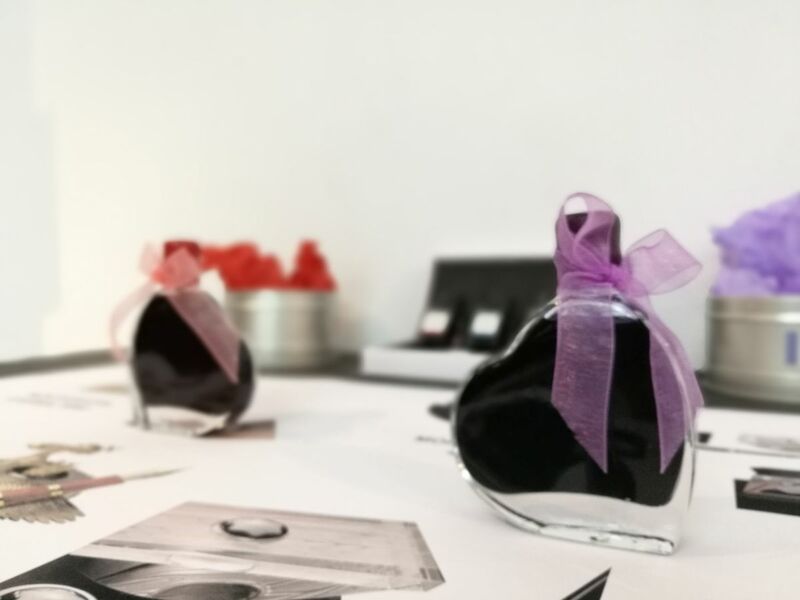 The variety of inks that these exquisite bottles hold are uniquely crafted; from fragrant ‘I Love You’ inks devised to help write love letters, to invisible inks that reveal under UV rays, to inks containing traces of DNA, to snake ink made to remedy writers block, each bottle of ink has a story to tell. The vibrant array of colours of ink ranges from sombre blacks to royal violets to trendy neons, adding up to a total of 90 available colours. A glimpse at this exhibition inspires the artist in you to sketch and urges the writer in you to write some more. The visitor leaves the exhibition taking back a whiff of history narrated through pools of luminous inks nestled in sinuous, iridescent glass bottles. What lingers long after one has left is the persistence and effort of a simple man who makes us believe even today, in permanence and in the timeless power of pen and ink to change the world.